Order your Steinberg UR12 USB Audio Interface from AMS and enjoy 0% Interest Payment Plans, Free Shipping, Free Extended Warranty & 45 Day Money Back Guarantee. 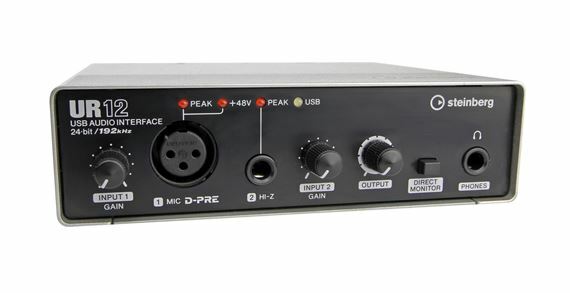 The UR12 USB interface features an extremely compact design, extraordinary build and audio quality, full iPad connectivity and the outstanding D-PRE mic preamp. Combining an extremely compact design, extraordinary build quality withal rugged metal casing, full iPad connectivity and the outstanding D-PRE mic preamp, the UR12 redefines quality for its class of USB interfaces. 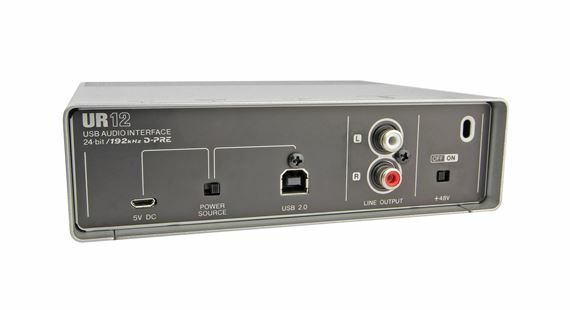 24/192converters offer you levels of audio fidelity rarely seen on an interface of this size, while the legendary D-PRE gives your recordings incredible detail, depth and dynamics. Guitarists, vocalists, songwriters and producers requiring a very portable interface with amazing sonic characteristics need look no further. The included upgradable Cubase AI version offers a streamlined, easy-to-use music toolset with everything you need when inspiration strikes.